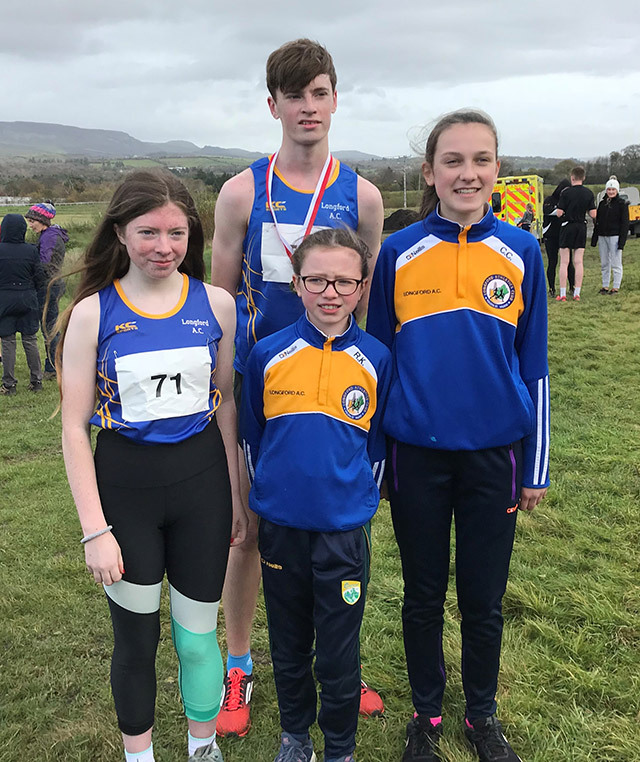 The wet and cold conditions made the second day of the Connacht Cross Country Championships for the Uneven age groups a real challenge as Longford athletes took on the rolling hills at Belleek Woods in Ballina, County Mayo last Sunday. 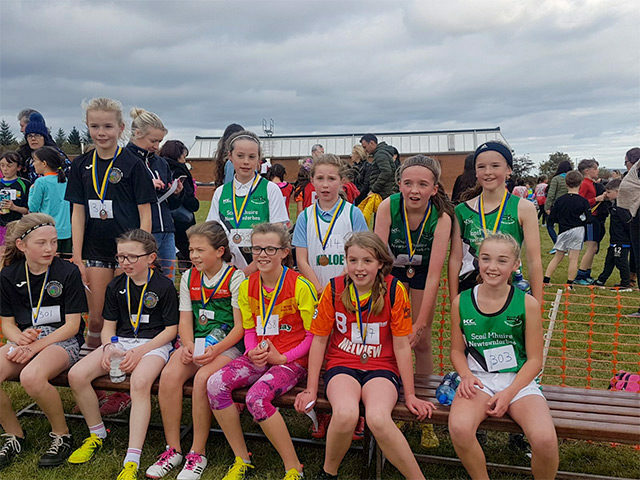 The weather was quickly forgotten as Longford Athletics Club had a marvellous start to the day with Rachel Keenan becoming U11 Girls Connacht Champion. Rachel set off at a blistering pace hot on the heels of the leader and almost immediately they both opened up a lead. 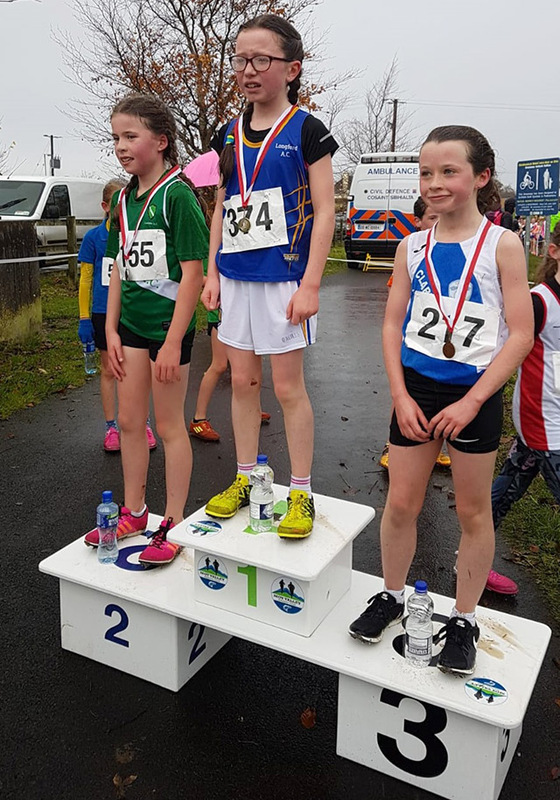 Rachel held her position until about 100 meters to go where she kicked for home passing the leader and becoming 2018 U11 Girls Connacht Champion. 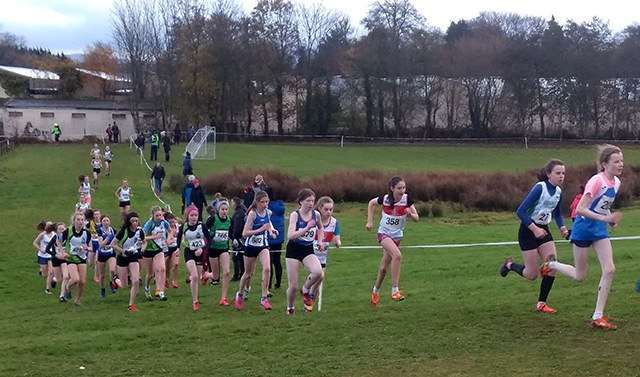 Emma Brennan ran with great determination and a battling spirit coming home not far behind Rachel near the front of the race in an excellent 14th position. 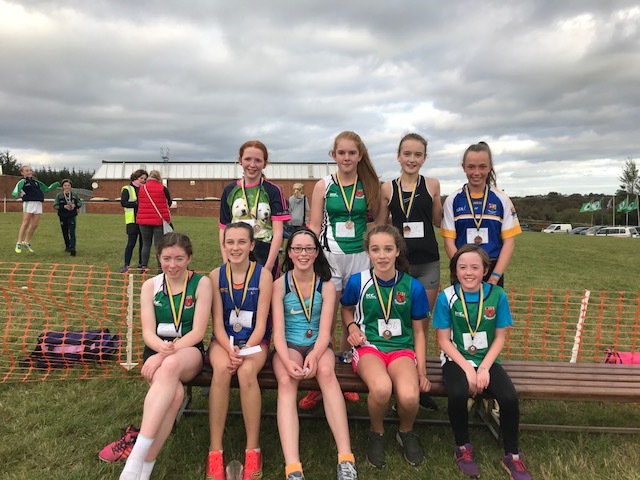 Both girls ran on Day One a year ahead in the U12 race and this strategy gave them increased confidence for their excellent performances on Day Two. 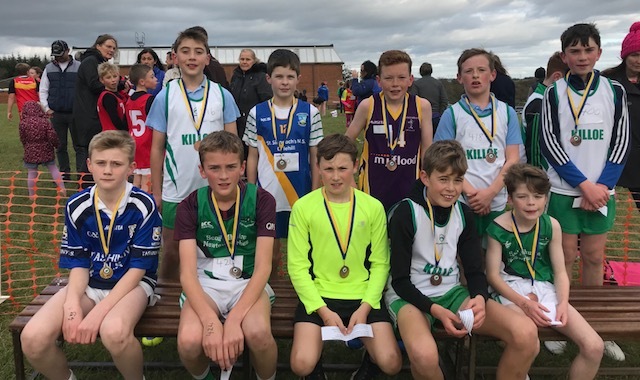 Senan McWeeney was our only competitor in the U11 Boys 1500m race. 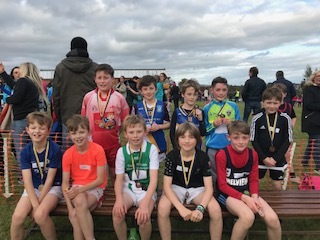 This was Senan’s first Club cross country race and he ran hard from the off and showed he has the determination needed for tough cross country racing. 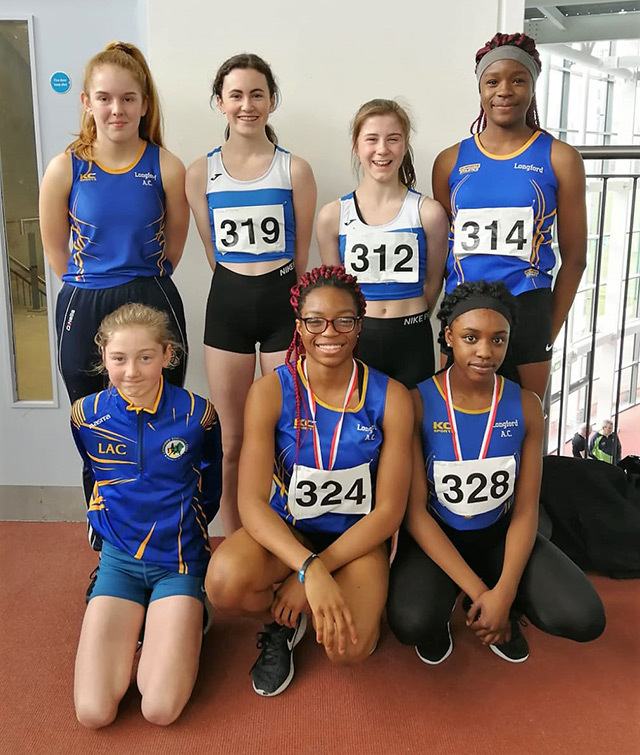 Sian Gallagher and Evie O’Rourke Grant both ran in the U13 Girls 2500m race. 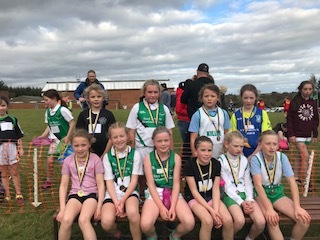 Sian ran strongly and was always well up in the first half of runners finishing in 25th place. Evie showed her determination working hard all the way to the finish on such a challenging day. 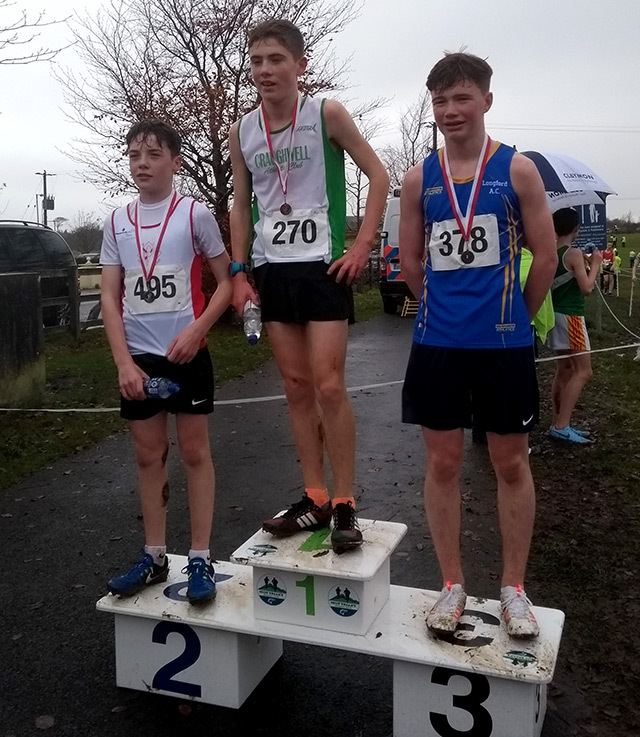 Kenagh’s Stephen McGinity ran in the U13 Boys race of nearly 60 runners. 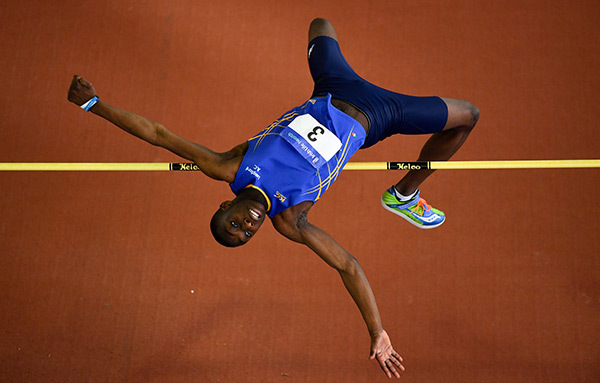 He got stuck in from the start and battled hard to finish well positioned in 36th place. 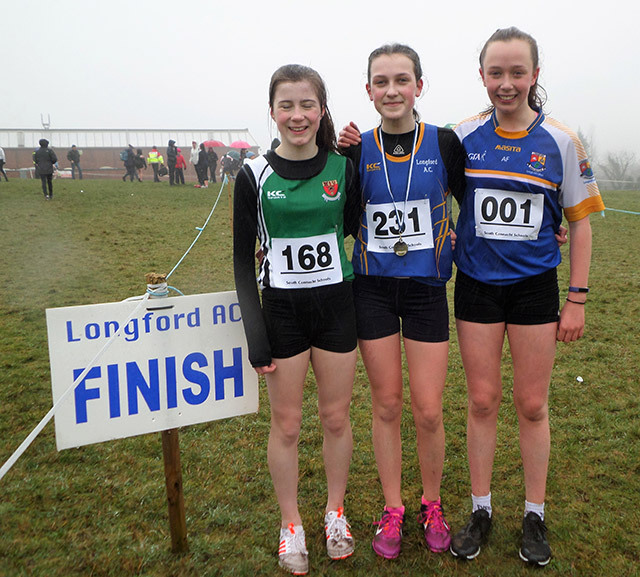 Kate Hagan raced in the very competitive U15 Girls 3500m race with many of the top athletes she ran against last week. Kate started in the middle of the pack and gradually worked herself up into a leading group of six. 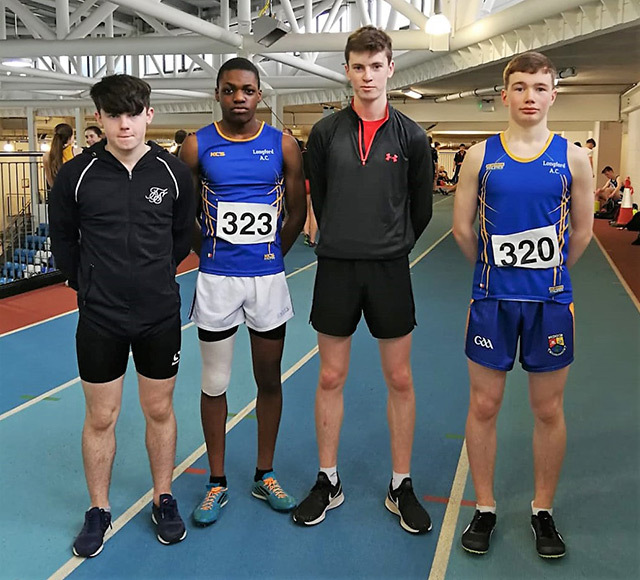 This strong group ran together pulling well clear of everybody else. The group began to stretch out with just over a lap remaining with Kate working hard to finish in an excellent 5th place. 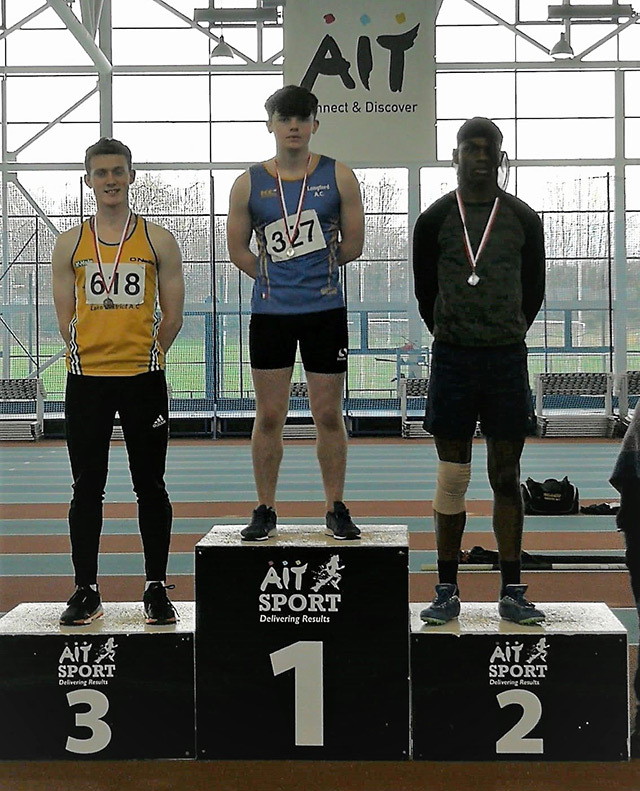 This achievement sees her qualify through to the national finals in both U15 and U16 age groups. 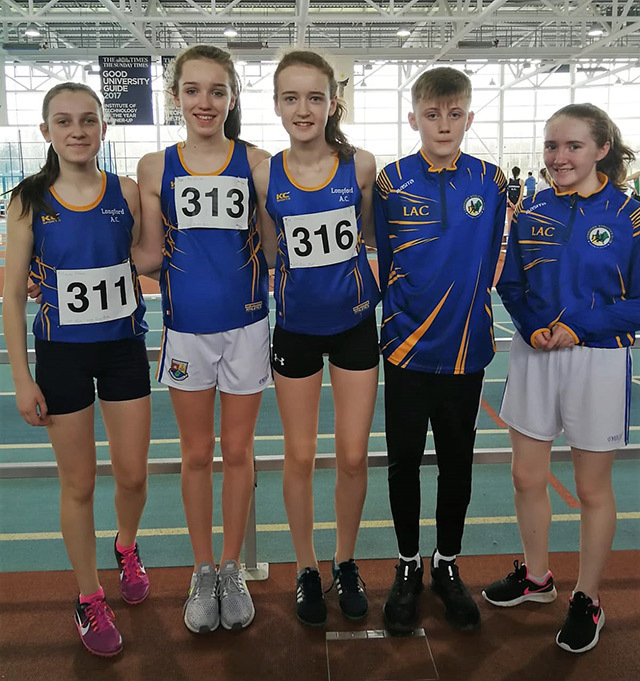 The U15 Girls 3500m race as they take on the rolling hills at Belleek Woods in Ballina with Longford AC’s Kate Hagan well positioned to take 5th place and qualify for Nationals. 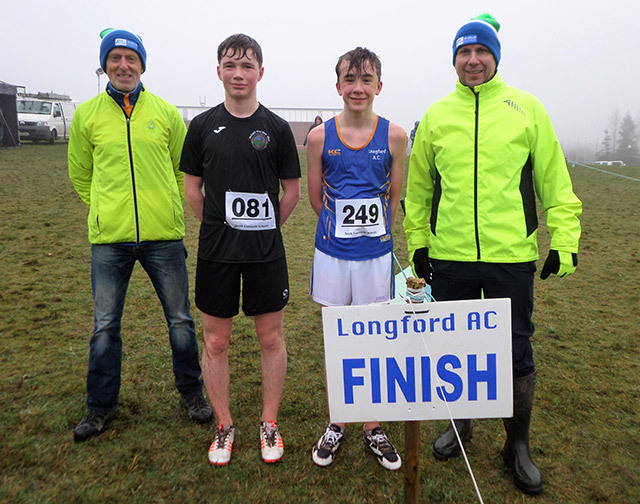 Last up for Longford AC was Jack Gallagher in the U15 Boys race. 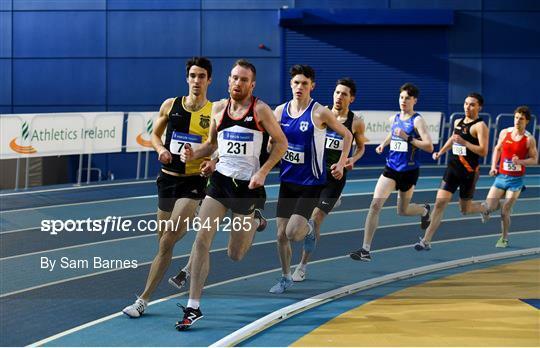 Jack set his stall out from the gun leading the race out over the first 800m. Jack consolidated his position over the next lap running just behind the leader. 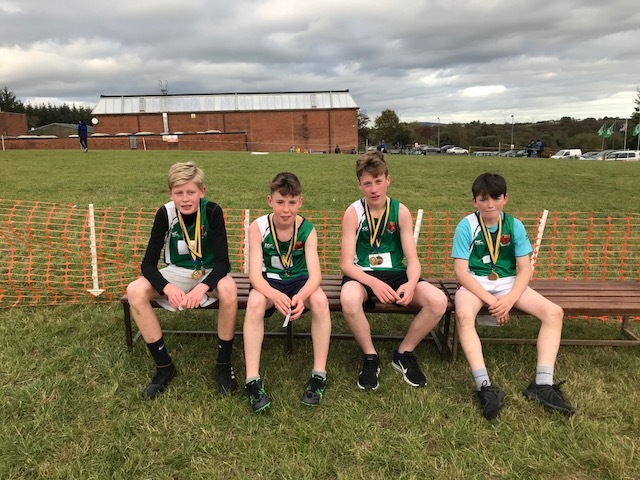 The final third of the race became a real of test of resilience for Jack, his early exertions were beginning to take their toll and Jack slipped back to 4th position. 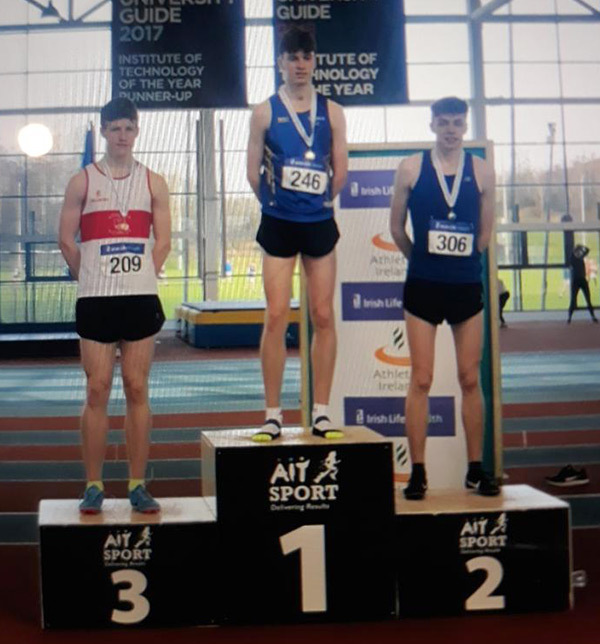 Jack showed great character and no small amount of determination to surge again and reclaim 3rd place and an excellent finish on the podium to claim Connacht Bronze. 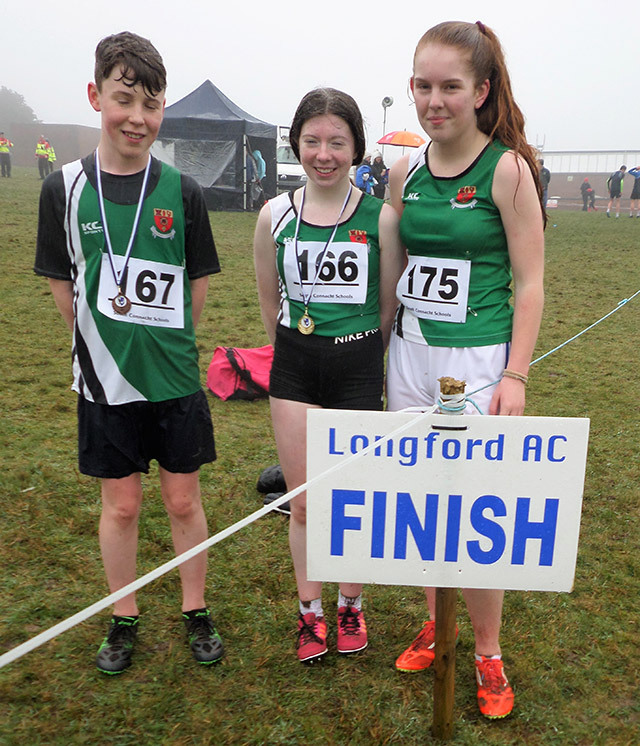 Longford was happy with their results over the course of the two days of the Connacht Cross Country Championships with Rachel Keenan, Kate Hagan and Cian McPhillips all doing the double to qualify for Athletics Ireland Nationals in their own age groups as well as the year ahead as well as Jack Gallagher qualifying this week for U15 Boys.